You are going to Watch Yowamushi Pedal Episode 9 English subbed online free episodes with HQ / high quality. 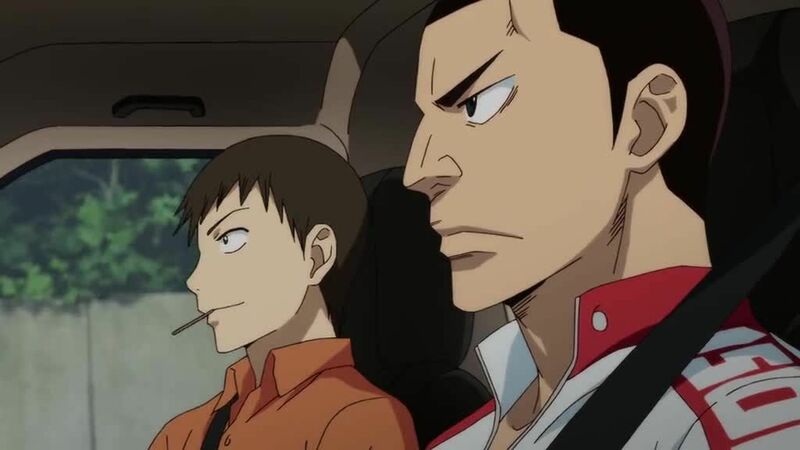 Stream Anime Yowamushi Pedal Episode 9 Online English sub Full Power vs. Full Power. 500 meters remain to the peak, and Onoda and Imaizumi are the only two left who can claim the title King of the Mountain. Onoda raises his RPM’s by another 30 tocatch up to Imaizumi, but can he maintain that speed over the finish line of stage 2? After the mountain stage finishes, Onoda finds himself out of stamina. Despite the seniors wanting to help him, he is forced to retire from the race, but the coach awards him for his efforts with something that surprises the other first years and makes Onoda decide to stay with the cycling team for the remainder of his time at Sohoku.